The proven bestseller KSR MOTO Pandora 50 is your introduction to the KSR MOTO model series. 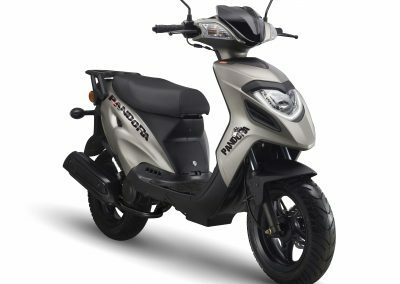 The scooter is affordable without lacking many high quality details. The proven 50-cc KSR MOTO Pandora 50 scooter is your introduction to the KSR MOTO series. As usual at KSR MOTO, however, “affordable” in no way means “cheap”. 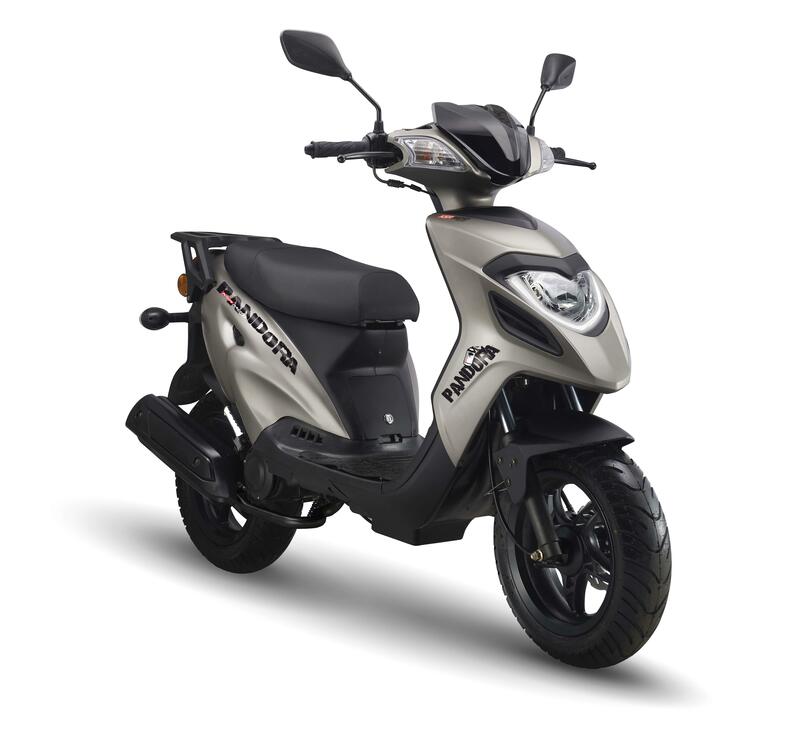 The dynamic shapes and the elegant matt finish give this scooter its unique character. Details such as a perforated front disc brake, LED parking light, and integrated turn signals visually overshadow some much more expensive scooters. So it’s no wonder that the KSR MOTO Pandora 50 is one of the bestsellers in many countries. 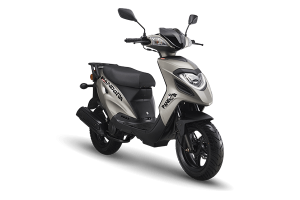 In 2018, this popular scooter will receive a new, low-emission four-stroke engine, which of course complies with the strict Euro 4 standards.